arry was champion in 1976 and 1977 on a Suzuki. 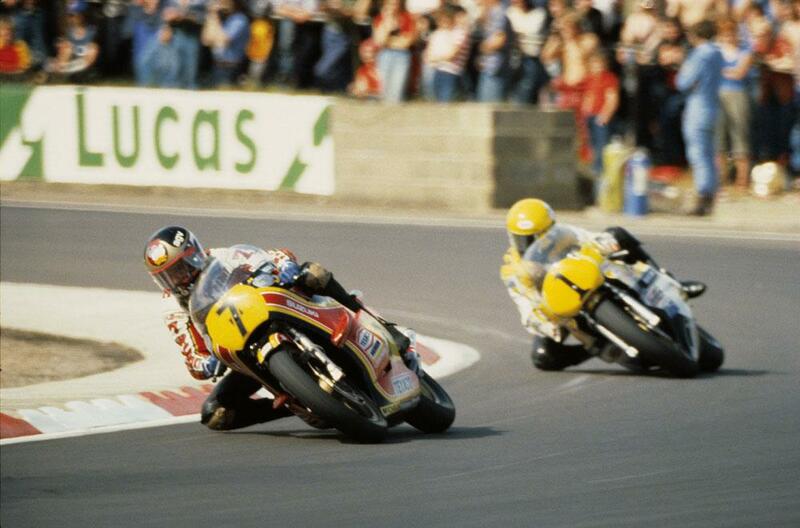 Then Roberts turned up and beat him on a Yamaha. The atmosphere soured, then big-time Barry played hardball in contract negotiations. His demands must be met, or else he’d go to Yamaha. “I think he was genuinely surprised when we turned him down,” Maurice Knight, head of Heron Suzuki, told me. Struggling to make up for it cost Barry his little finger in crash in France and led directly to that huge crash at Silverstone in 1981 that effectively ended it all. “If he’d stayed at Suzuki, he’d have been champion again,” is what Roberts believes.